Are you thinking about buying an iPad and want to learn more about it? Or do you own an iPad and want to put it to better use? These lessons are designed for beginners and will cover the very basics from what that round button at the bottom of the iPad does to how you can move or delete an app. There is even a lesson with tips that will help you get the most out of the iPad and perhaps even teach your friends a neat trick or two. The first lesson deals with the actual iPad, including what comes in the box and what that circular button at the bottom does and the basics of the iPad's user interface. You will also learn how to find the web browser so you can surf the Internet, how to play music on the iPad, how to buy music and movies from the iTunes store and how to boot up the app store so you can start downloading apps. This lesson builds upon the first lesson, teaching you how to navigate the iPad and even how to organize and arrange the apps on the screen. Did you know you can create a folder and fill it with apps? Or that you can delete an app that you no longer use? You'll even learn how to find the best apps in the App Store by using top charts, customer ratings and locating the featured apps. We've covered the App Store, but we haven't taken you step-by-step through downloading your first app. If you are still a little overwhelmed with the app store — and with over half a million apps, it's easy to get overwhelmed — this lesson will guide you through downloading the iBooks application, which is Apple's reader and store for ebooks. This is a great app to have, and once you are finished with the lesson, you should find downloading apps to be a breeze. If you are looking for a quick start guide and want to hit the ground running, check out the first things you should do with your iPad. This guide skips the basics and takes you through some of the tasks the experienced tablet user should do on day one with their new iPad such as connecting to Facebook, downloading Dropbox for cloud storage and setting up your own radio station on Pandora. OK, so you have the basics down. Is that all you need? The beginner courses in navigating and organizing your iPad are perfectly fine for most people, but power users have all sorts of little tricks they use to find apps quicker and get the most out of the iPad experience. If you want to take it to the next level, this guide will teach you some of these tricks. We've covered tips, but what about different ways to use the iPad? The iPad has a lot of cool uses that most of us might not ever think of on our own such as using it as a portable TV, as a photo album or even as a GPS for the car. This lesson is designed to spark your creativity in different ways that you might use the iPad both around the house and on the go. Siri can sometimes be overlooked by those new to the iPad, but once you really get to know the voice-recognition personal assistant living inside your tablet, she can become indispensable. Perhaps the easiest way to use Siri is to tell her to open an app by saying "launch [app name]" or play music by saying "play The Beatles." But she can do much, much more than that if you give her a chance. Okay, now you can download apps. Let's put that to good use. This collection of apps covered everything from streaming high-quality movies to an app that lets you create your own radio station to a collection of fantastic recipes. There's an app for almost everyone in this list, and best of all, these apps are absolutely free. So even if you don't like one of these recommendations, it won't cost you a dime. Did you know you can download free books to read in iBooks? Or lock the orientation of the iPad? Or find an app quickly using Spotlight Search? There are a number of different tips and tricks you can do with your iPad, but sometimes it is not so easy to figure them out. This lesson will cover a number of tips that can help you get more out of the iPad. It's great to learn how to use the iPad more effectively, but what about using the iPad to become more effective in your life? The iPad can be a wonderful organizational tool capable of doing everything from reminding you to take out the trash to keeping up with your busy schedule to organizing huge tasks into a succinct to-do list. Whether you are buying an iPad for a child or if your kid is simply going to be using your iPad, it is important to know how to lock down the device. This might be as simple as disabling in-app purchases to ensure you don't get a nasty surprise with your iTunes bill or restricting the Safari web browser from bringing up adult websites, both of which can be great protections for your child and still allow you to use the iPad without much notice of the restrictions. Or childproofing can be as thorough as only allow "G" rated apps, music and movies to be downloaded, the app store completely disabled and features like FaceTime and iMessage restricted. The final lesson teaches the number one most used troubleshooting step used by tech support analysts all over the world: rebooting the device. This lesson was covered briefly in the tips lesson, but it is so important, it is mentioned here to make sure everyone has the opportunity to learn how to reboot their iPad. 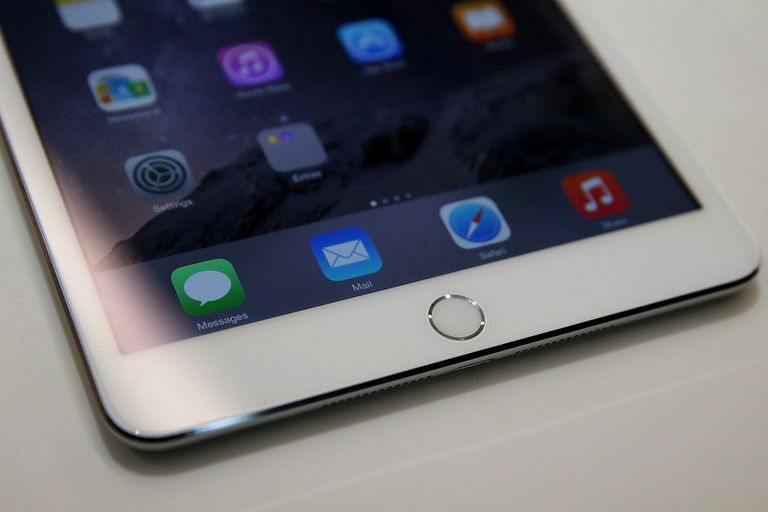 It doesn't matter if you are suffering from an iPad that is frozen, one that is having trouble loading web pages or an iPad that is simply acting slow, rebooting the iPad could be the key to solving your issue. Your iPad Makes a Great Piano Teacher! What Do You Get With an iPad?